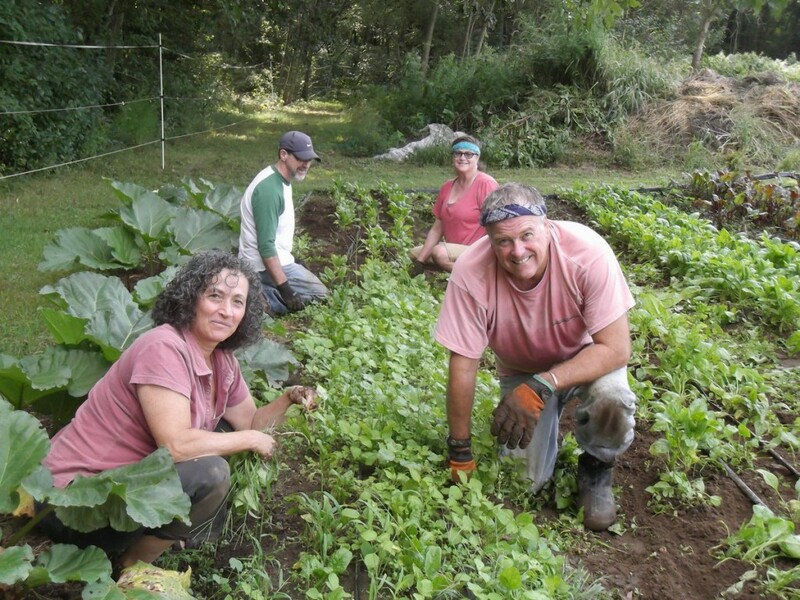 We are all committed to respecting the land, the people who work hard to grow our food, and our fellow sharers. To help make our community a safe, comfortable place for everyone, please follow a few simple Do’s and Don’ts. Bring your children, and make sure that they are not stepping on the crops or getting in the way of other sharers in the field or under the pickup tent. Weigh your produce carefully, and don’t take more than your allotted share. Ask for help if you don’t know where something is or how to harvest a crop. Be considerate under the pickup tent. The space is tight, but a little courtesy goes a long way. Keep your dog leashed at all times and don’t bring dogs into the fields or into the pickup tent. Take more than your allotted share. Doing so means that someone else is getting less. Leave trash or recycling at the farm. We are unable to remove waste not generated by the farm. Let your dog off leash, or bring dogs into the pickup tent or the fields. Talk on the phone in the fields except in the event of an emergency. Thank you for being a part of the Stearns Farm community.